I really do not use my slow cooker enough. 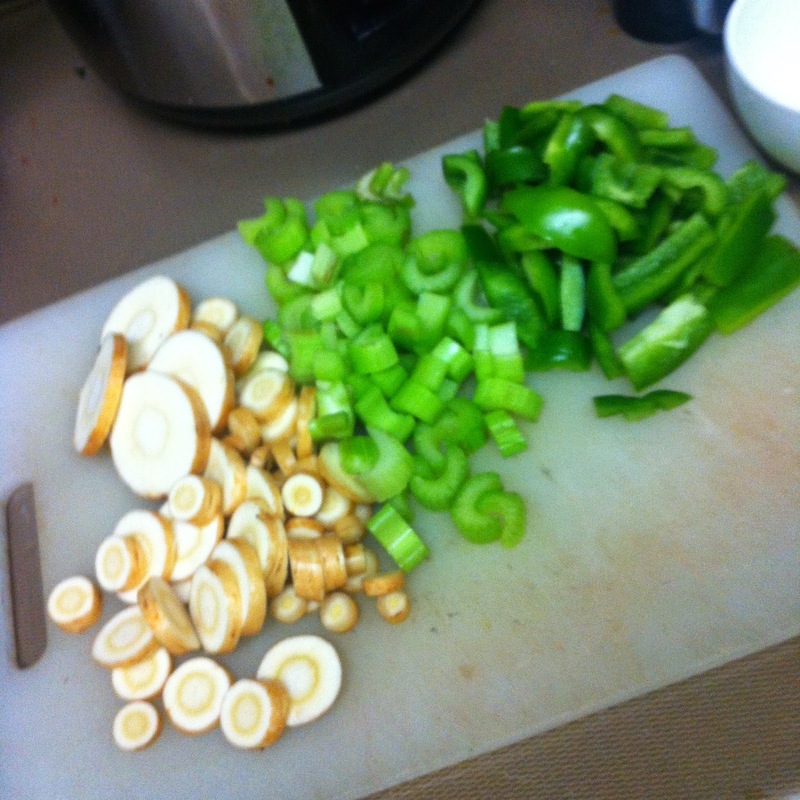 Today, I had both work and school, so the time I had to cook was significantly depleted. This morning I did 20 minutes of prep work, and the result was dinner, as well as lunch four more portions for lunches. How else can you do that? 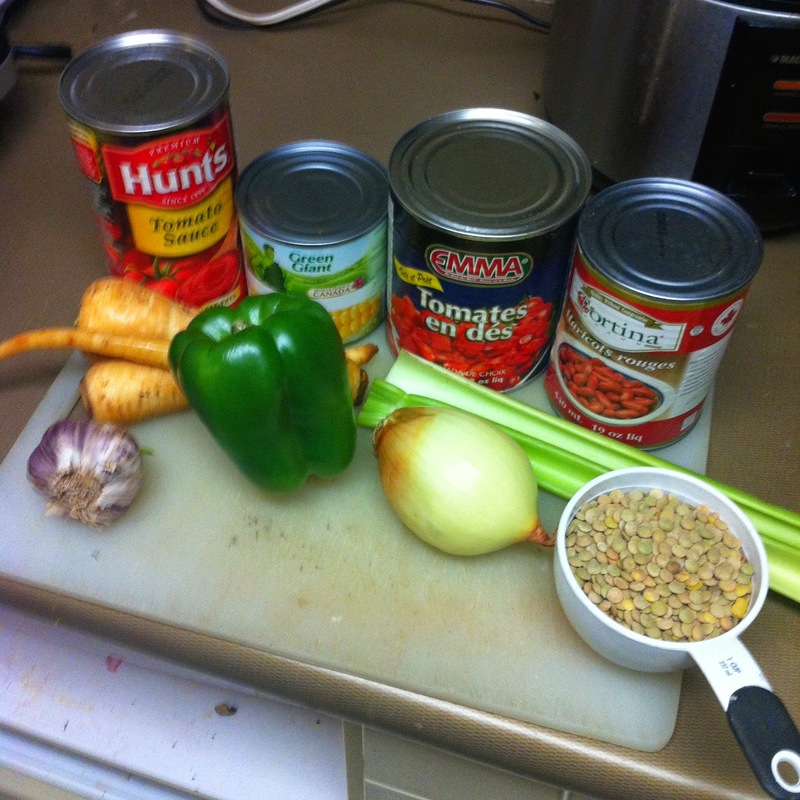 Not to mention the result was an insanely good, nutritious, and filling chilli. 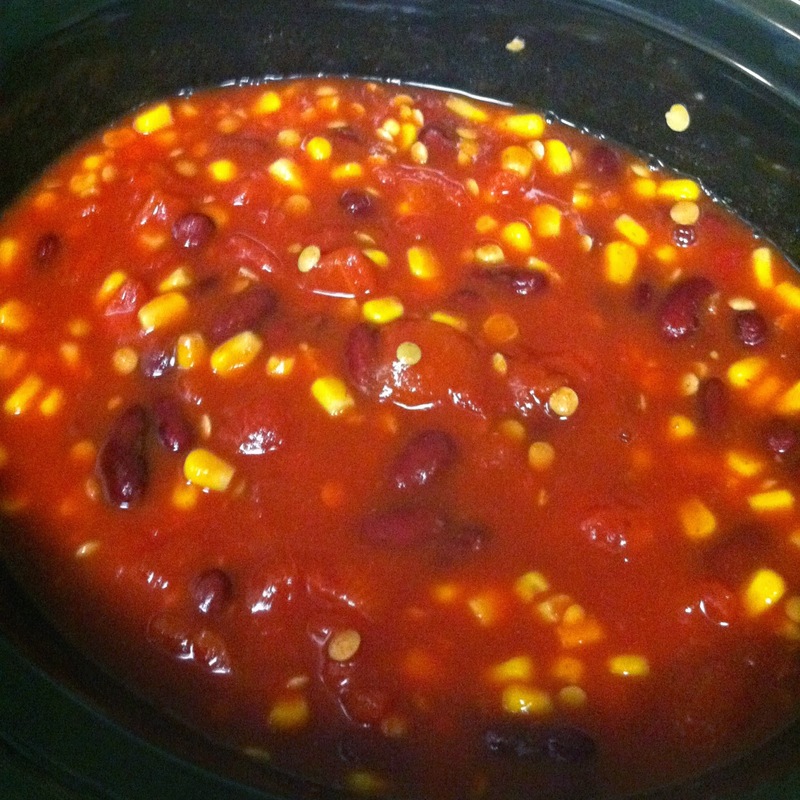 Add all canned item into the slow cooker along with the lentils and turn on. Pour out and rinse the bean juice. Make sure to use dry lentils because they will absorb the flavour of the chilli and be extra delicious! 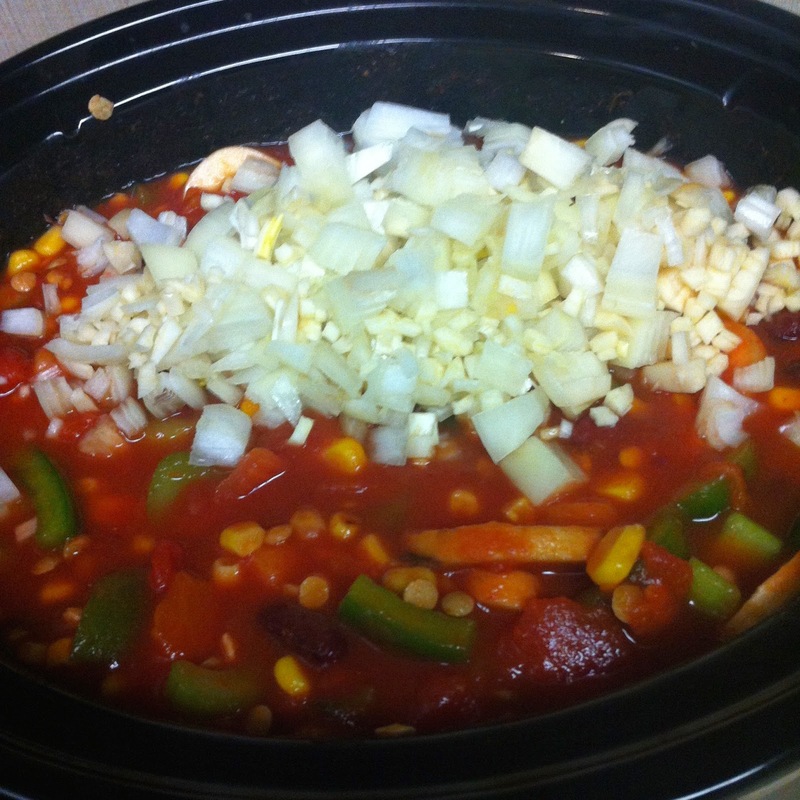 Then, slice all the vegetables and add them into the slow cooker as well. The bitterness of the green pepper will balance out the sweetness of the corn and parsnips. Instead of using parsnips, you may use carrots, but it won't have that same "spice" to it. Add some spice to your liking (I used a mixture of oregano, cayenne pepper, paprika, black pepper, and chilli powder) then turn put the lid on and let stew! 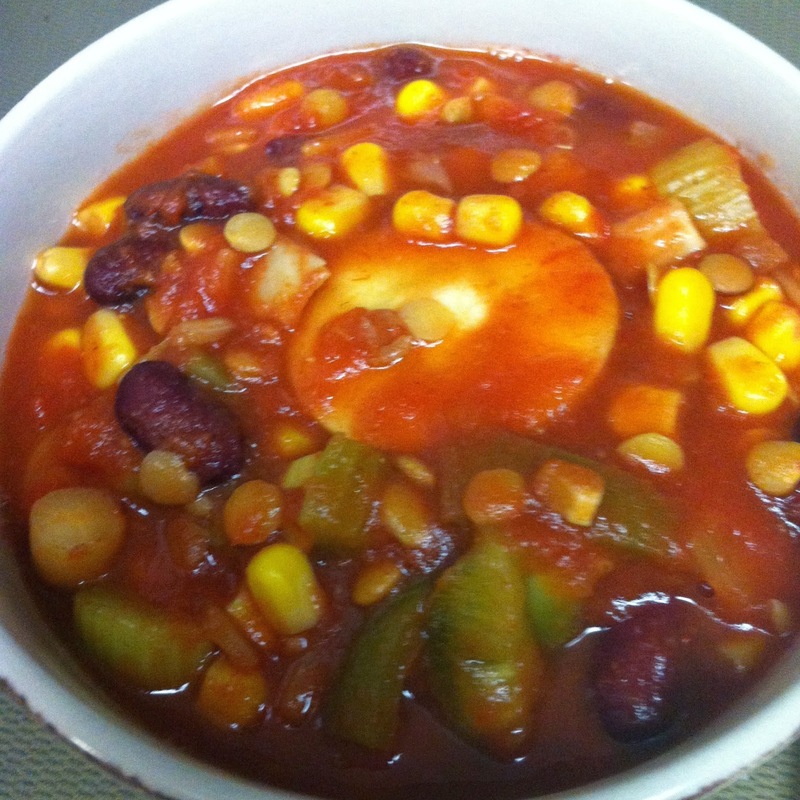 As a general rule of thumb, let heat until all the vegetables are tender. The longer the time and the lower the heat, the more the flavours will be brought out and mingle. The higher the heat, the shorter the cooking time. I let mine cook for four hours on high. 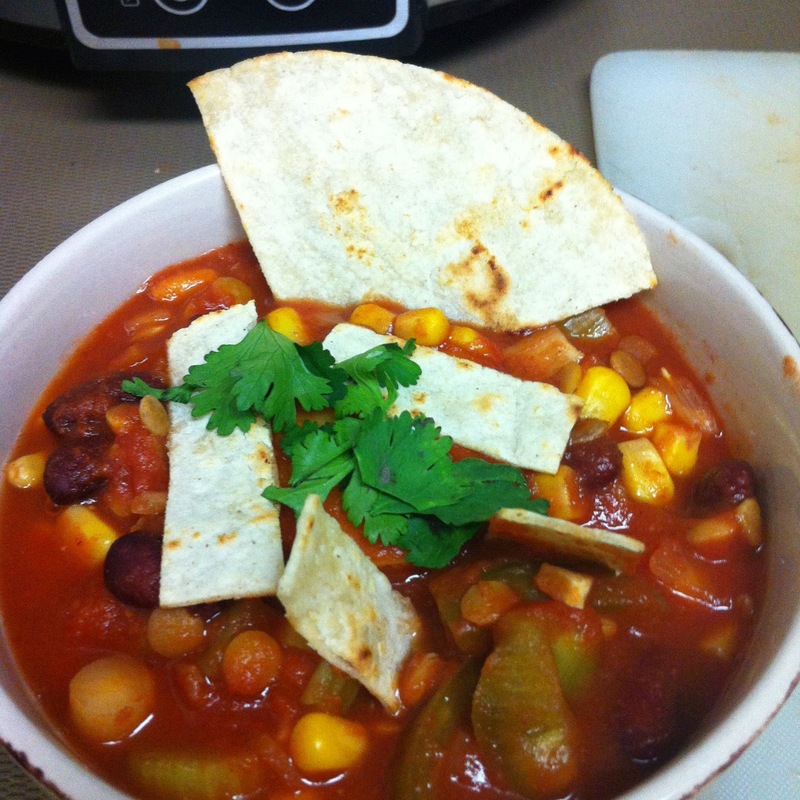 Serve with some fried tortilla or rice for a starch and garnish with cilantro for a bang! 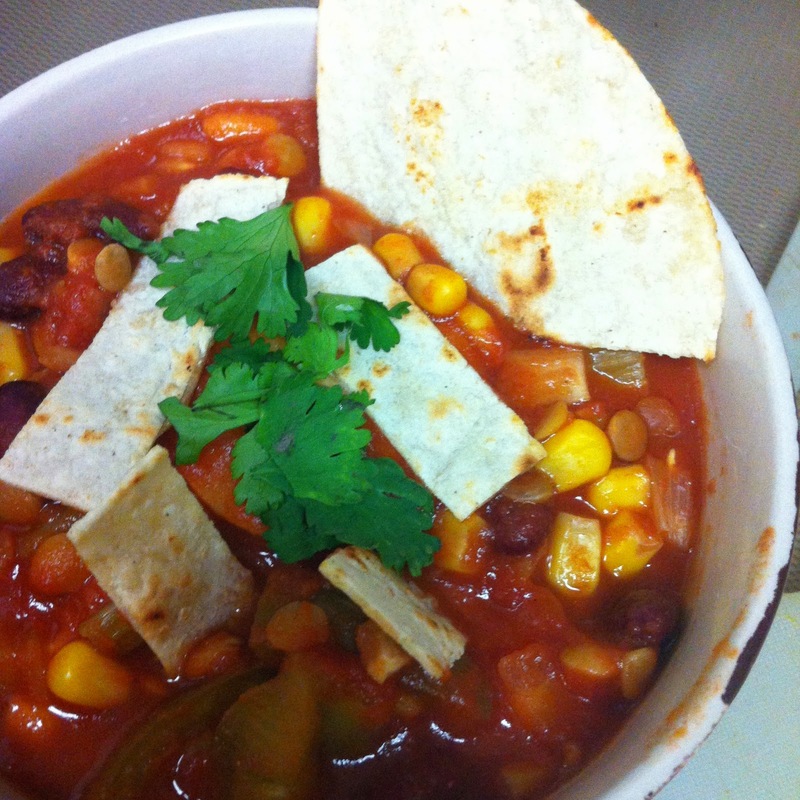 Vegan chilli that may be better than the original, and because of lack of any meat, easier to prepare.